Salmon is commonly hot smoked or cured through a brining method. Both methods preserve the fish very well and will add to its lengthy shelf life, although the varying methods produce different textures and tastes in the fish. 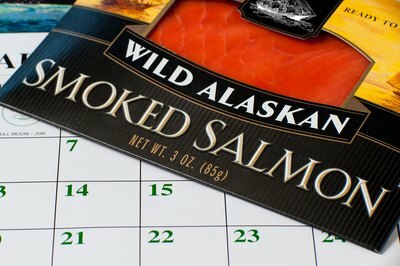 Although packaging allows some smoked salmon to be preserved for years, even without refrigeration, opening the seal will start the clock running on how long you can keep smoked salmon in your fridge. Native American tribes first used a hot smoking method to cure and to preserve salmon caught in the streams and tributaries of the Pacific Northwest. Chinook, sockeye and silver salmon are among the more common species. For smoking, the fish is usually brined and then placed in a smoker for several hours. The length of time is dependent on the desired texture of the fish. Some companies will then vacuum seal the fish and cook it, much like the canning process, allowing for a shelf life of up to five years. Nova and lox salmon are cured using a cold brining method, although Nova salmon does follow brining with light smoking for flavor. Nova or lox cured salmon is then vacuum sealed and flash frozen. 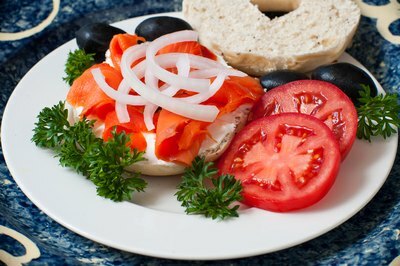 Nova-style salmon, and not lox, is what we typically eat with bagels and cream cheese. 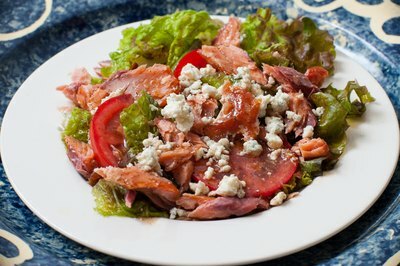 The name "lox," however, has become synonymous for this type of delicately smoked and flavored fish linked to the foods of Scandinavian peoples. Once the packaging is opened on either type of fish, it will need to be refrigerated and consumed within five days. 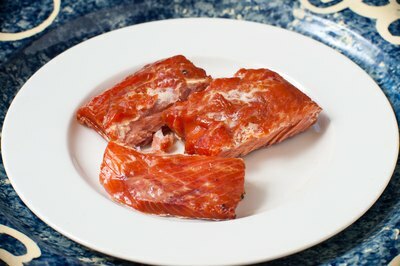 Neither hot nor cold smoked salmon should be eaten if it has been left out at room temperature for more than two hours. And because cold smoked salmon has not been cooked, only brined, it will need to be eaten within seven days once thawed. 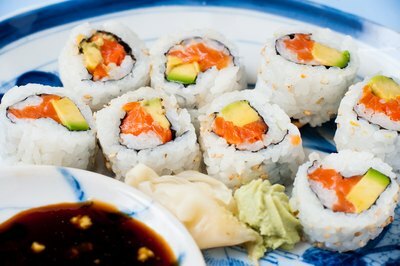 Smoked salmon that has a jerky-style texture can be found in sushi rolls, flaked or cut into small pieces, and served over salad or in pasta dishes. Because it has already been cooked, many cooks will add it at the end of preparation so as not to overwhelm the other ingredients. 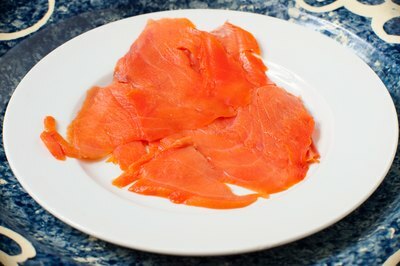 Smoked salmon can have a strong taste and smell that can easily overpower foods it combines with. Nova-style salmon, or "lox," is frequently highlighted as a centerpiece on a buffet table, accompanied by only thin slices of red onion, capers and fresh dill. It can also be mixed into cream cheese or laid out on thin pieces of baguette or crackers. This mild-tasting salmon also lends itself well to pasta and egg dishes.